We are often asked about what portions of an association’s CC&Rs and Bylaws need updating to reflect current state statute and best practices. The answer is usually simple – everything! Due to the reorganization of the Davis-Stirling Act effective January 1, 2014, which included many substantive changes, plus many other statutory changes that have occurred within the past 10 years, many associations’ governing documents have ceased to be reliable resources for effective governance and operation of an association. We are currently assisting many of the firm’s clients with complete amendment and restatement of their CC&Rs, Bylaws, Rules and Policies. But what if your association just doesn’t have the time or money to commit to a full amendment and restatement, but would still like to make some improvements to your association’s governing documents? We suggest the board consider some “spot” amendments. While members of an association’s board of directors are usually in the best position to determine what sections of the governing documents should be amended and updated, we usually suggest that a board consider the following possible amendments. The number of owner-occupied units or homes in a development is important to many owners who maintain their primary residence within an association. Also, if the number of leased properties exceeds a certain percentage, issues with buyers financing new purchases may occur and pose a roadblock to owners that attempt to sell. An amendment to association CC&Rs limiting the percentage of leased properties or imposing a waiting period to lease (or even both) are popular “spot” amendments in our clients’ governing documents. Note that pursuant to Civil Code Section 4740, these kinds of amendments recorded on or after January 1, 2012 can only apply to new owners that buy after the recording date of the amendment, and all current owners have to be grandfathered in and would not be subject to any percentage limit or waiting period to lease. What could be more unfair than an owner collecting rent while being delinquent in paying association dues? Not much. With an assignment of rents provision in the CC&Rs, the association can demand rent directly from the tenant when an off-site owner is delinquent in the payment of his/her assessments (and a lien is recorded against the owner’s unit or lot). The rent is then paid to the association instead of the owner until the owner’s delinquent assessments are paid. We recommend this amendment before an association has an assessment collection issue with a rented unit. To a certain extent (other than as required by statute), member meeting quorum requirements can be lowered so that an association can move forward with business without being forced to continually adjourn meetings due to lack of quorum. Many community associations have found it beneficial to eliminate quorum requirements altogether for the election of directors, especially where the association has a history of not achieving a quorum. As an alternative, some boards opt for a reduced quorum at adjourned meetings if the association is not able to reach a quorum at the first meeting. “Nobody cares – why bother trying?” We’ve heard it again and again. Voter apathy is a wall that many boards continually run into when pursuing CC&R amendments. Original association governing documents (drafted by the developer) often include incredibly high standards for amendment of the CC&Rs, such as 75% of all members (that’s all members, not just members who vote). This hobbles an association and causes extra expense for the association down the road. However, approval requirements for amendments to the governing documents can be lowered to something more reasonable, such as a majority of the members. We don’t believe that it makes sense to have an amendment approval requirement higher than a majority of the members, as the Civil Code allows an association to petition the court to reduce the approval requirement for a CC&R amendment if at least a majority of the members (but less than the required percentage of the members under the CC&Rs) have approved the proposed amendment. You probably wouldn’t replace the entire management team of a company at the same time every year, but this is exactly the kind of situation many associations find themselves in when directors are elected annually and nobody from the past board is reelected. Instead, board terms of office can be staggered with two-year terms in the bylaws so that only a portion of the board is reelected each year (absent special events such as vacancies or votes to remove directors), helping to ensure for continuity in governance and operations. Many of our clients are surprised to learn that Justin Bieber could serve on their board, and who would want that? This is because many older bylaws lack any qualifications for board members, and allow any persons, member or not, to serve on the board. We highly recommend that at the very least, the bylaws should contain a qualification that directors must be members of the association. Further examples of qualifications to consider are being current in payment of assessments, not opposing the association in a dispute or legal action, not being subject to discipline from the association, and not being related to another director. 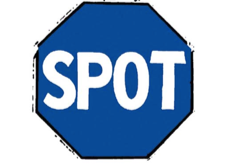 The above examples are some of the more typical “spot” amendments that we deal with on a regular basis. There are others. However, every community’s needs and character are different, so we work with our clients to prepare customized amendments to meet their unique governance and operational needs (such as amendments clarifying or modifying maintenance and insurance responsibilities). We are available to assist you and your association with addressing any amendment to your governing documents that you may deem necessary or useful.